The soft rays of sun on the city allow the Arkansas River to reflect soft purples and blues in the water. Downtown Little Rock has a beautiful natural shoreline covered in trees, walkways and parks, inviting its inhabitants to enjoy the nature of the state’s capital. Inspired by beautiful colors and light, Kristen’s artwork reflects the discoveries she makes in studying God’s creation. 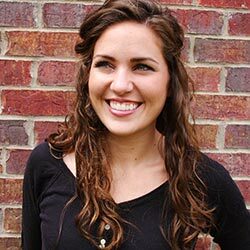 As a follower of Jesus, Kristen takes joy in internalizing and recreating the world around her. When Kristen is not painting, she may be cooking, enjoying life with her husband, playing any kind of games or sports, and daydreaming about traveling the world.